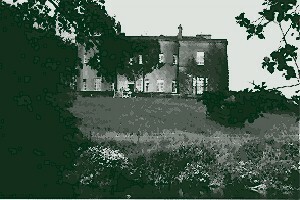 Harristown House was originally built in 1740 by one Whitmore Davis as the country seat of the La Touche family. For more than 150 years the late Georgian house stood undisturbed, overlooking the Liffey and adjacent parklands. However in 1891, the home of Mr. and Mrs. John La Touche was gutted by fire. Though much of the furniture from the lower floor of the house was saved, many fine works of art were destroyed. The house was rebuilt by James Franklin Fuller, one of the most prolific builders of country seats in the late nineteenth century, though reduced from three stories to two. The La Touche family resided at Harristown until 1920. The house was subsequently acquired by M.W. Beaumont (father of Rev. Lord Beaumont of Whitely) who put eighteenth century wallpapers in two rooms and brought "The House of Confucius" from Wotton, for the garden. Other important features include original furniture from France and Italy, ornate mantelpieces, inlaid floors and mahogany doors.